1911 Brush Runabout. The Brush was manufactured in Detroit, Michigan from 1907 into September 1912 when the company was shut down. Various models were the Model E and M in 1911 and Model F and Liberty Brush starting in July 1911 until the end in 1912. The Brush came standard with kerosene brass lamps on the dash and a brass kerosene tail light. Carbide head lights and generator were an option. They never had electric unless someone added them as there was no way to charge the battery without modification to the car. 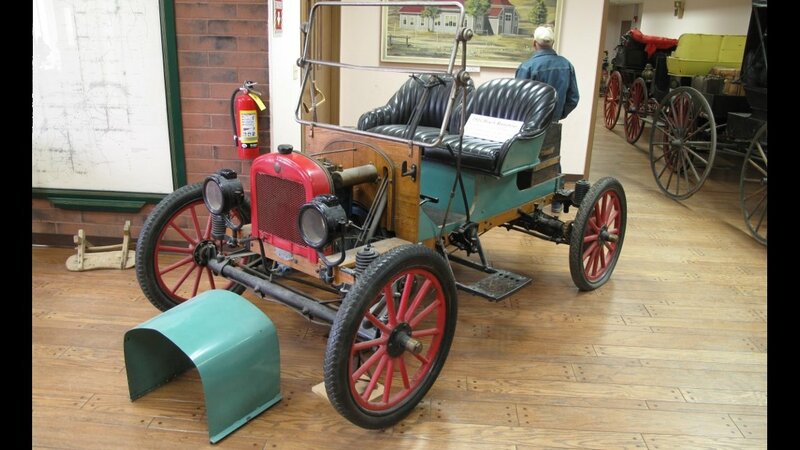 The price of a good horse and buggy, Alanson P. Brush announced in 1911, was enough to buy one of his runabouts. The figure he had in mind was $485. 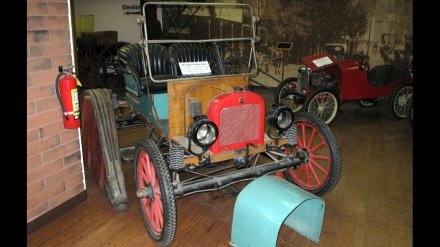 The chassis and the axles were made of wood - oak, hickory or rock maple, air dried and oil-soaked - and suspension was by the then revolutionary system of coil springs on each wheel, although they were under tension, not compression as was nearly always afterward the custom. The wooden axles were said to contribute to riding comfort, being somewhat more flexible and resilient than steel. Friction shock absorbers and ball joints in its suspension were standard. Another oddity was that the one-cylinder engine ran counterclockwise. (This put off some prospective buyers who were nervous enough about cranking without having to remember to do it the wrong way around. Left handers like it though). The design to run counterclockwise was so that you would crank with your right and it was nearly impossible to get hurt in case of a back kick. Everyman's car the Brush was called, not a big, high powered, high priced car. The Brush was one of the first cars to use left-hand steering.